Hi, I'm Shon Roberts. I have been In the golf cart business since 1999. I started in the golf cart business with Columbia Par Car in Leesburg, Florida as a Golf Cart Builder, where I worked for several years. Because of my knowledge and talent, I was eventually promoted to Lead Builder & Shop Supervisor. I moved to expand my knowledge elsewhere with a company called Discount Golf Cart World as a Lead Builder & Service Technician. Several years later I became a Technician for a company called Golf Cart Connection, at the time one of the largest remanufacturing golf cart companies In the country. After only two weeks, I became Lead Builder, Trainer & Quality Control Supervisor for the next three years. Eventually, I moved to Lead Service Technician. 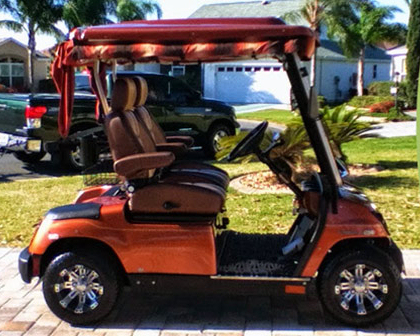 After 5 1/2 years of being with Golf Cart Connections, I decided to start my own company: Five Star Golf Cart Service, LLC.